They’ve all spent years putting a great amount of effort in making sure their graphics are eye-catching, their messaging resonates with consumers, and their image is consistent across every marketing tool they use. As a result, these industry powerhouses are easily recognized by consumers. They are considered trustworthy among their customers. They have high financial value. Whether your business has been around for years or you’ve just recently opened shop, ensuring that your company branding strategy is up to snuff should be a top priority. To simplify the task, we’ve highlighted some important aspects of your brand identity—the tangible elements that help forge a connection with your target audience, build customer loyalty, and shape your customers’ perception of your brand. As tempting as it may be to skip ahead to choosing a color scheme, designing a logo, and selecting your marketing materials, you NEED to know who you are as a brand before you do anything else. Your company’s personality – Your company’s characteristics, personality traits, etc. But don’t just think about these things—write them down. Perform an in-depth SWOT analysis (strengths, weaknesses, opportunities, threats) of your company. Taking the time for introspection can only benefit your organization, giving you a solid foundation on which to build upon and flesh out your brand identity. It can help you select a color scheme that appeals to customers and fits your business. It can give you a better sense of what shapes and graphics will get the desired reaction from customers. It can steer you in the right direction in terms of font type and style. Now that we’ve delivered our PSA, let’s highlight some common brand identity assets that you should pay close attention to. Your website is arguably the most important aspect of your brand identity. Whether you run a brick-and-mortar shop or do business solely online, having a great website is crucial. When individuals are first introduced to your company, they’ll undoubtedly check out your website to learn more about you and what you have to offer. And if you want to keep their interest and solidify your brand image in their minds, you need to make sure your website possesses some key characteristics. Consistency – All design elements on your website should fit your brand identity. That means colors, fonts, and images should be consistent with those you use in other marketing assets. Otherwise, you not only miss out on the opportunity to create a memorable brand image in your potential customers’ minds but also risk putting them off altogether. Don’t give them whiplash—stay consistent. User-Friendly Layout and Navigation – As mentioned earlier, successful branding means optimizing every facet of the customer experience. That includes making it easy for website visitors to navigate your site. Make sure people can find what they’re looking for with ease. A clean, well-designed site with mobile responsiveness can encourage people to visit again and again, cementing your brand image in their minds. Plus, it’s an important step in generating more leads and making more sales. Quality Content – Though visuals may initially bring leads in, it’s your content that will get them to stay. And any content on your website needs to be well written, engaging, and consistent with your brand image. Once you’ve discovered your company’s voice, use it in your content. Demonstrate your expertise and use the same tone in every piece. Companies that sell tangible products should also take their packaging into consideration when determining where their brand identity needs to shine through. If your packaging doesn’t correspond with your website, social media, emails, trade show banners, flyers, and other materials, how can you hope to be recognized by customers? If there is a glaring difference between your product packaging and your digital and/or physical marketing assets, consider a redesign. Doing so can drive customer loyalty and encourage repeat business. For brick-and-mortar businesses, signage is a major asset in regard to company branding. It introduces the business to newcomers, helps with navigation of the building, and improves the overall customer experience. That being said, it’s well worth contacting a sign fabricator that can create custom signage for your business. That way you can work with them to ensure your logo, color scheme, and brand design are incorporated in all displays. For those interested in obtaining custom signage, Erie Custom Signs is a great solution. This reputable sign fabricator not only provides custom solutions for businesses in need but also demonstrates how branding can be improved through signage—even in the case of ADA (Americans with Disabilities Act) displays that all public facilities are required to have. Are you sending emails to potential customers? If you’re not, you certainly should be, as this is a valuable lead-nurturing tactic. 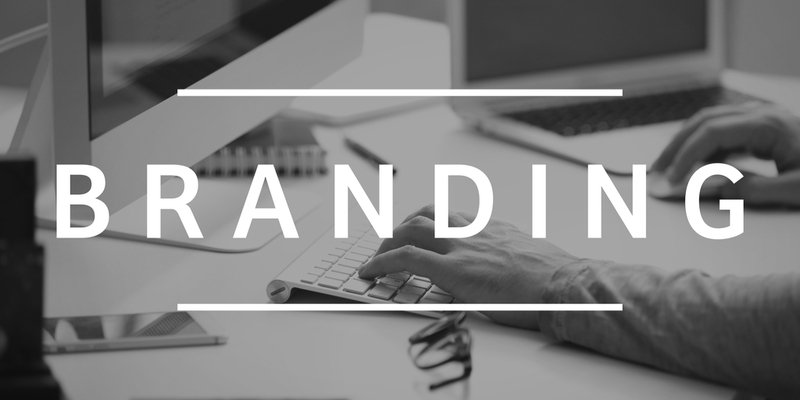 If you are, you should make sure your email design correlates with your brand identity. Use a banner graphic with the same color scheme, typography, and overall feel as your other assets. Add photos that are relevant and appropriate to your brand. Word your copy in the same way as your website content and social media posts. Sending emails to potential customers gives you the opportunity to communicate directly with those in your target audience. If you want your company branding to be successful, you need to get personal, be helpful, provide value, and time emails appropriately. It’s just one more way you can solidify your brand image in your customers’ minds and get them familiar with who you are and what they can expect from your company. How Much Effort Have You Put into Your Company Branding? If your company branding efforts have been less strategic and more “throw something at the wall and hope it sticks,” now is a good time to reevaluate. Even if your business has been around for a while, it’s worth taking a step back if you’ve struggled to gain a loyal following. Look inward and determine what it is that sets you apart from the competition. Use that internal research to create a fully formed brand identity that you can apply to all of your digital and physical assets. If there’s one thing we know for certain, it’s that marketing is a marathon—not a sprint. And the same holds true for company branding.